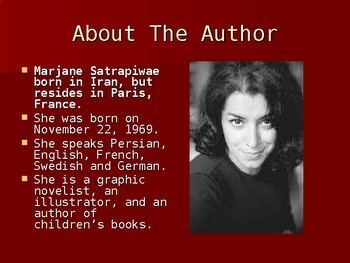 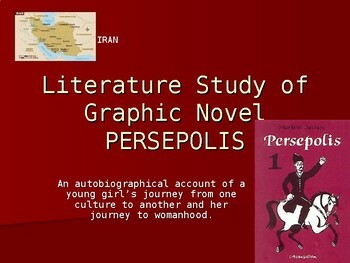 This power point presentation introduces the graphic novel, Persepolis by Marjane Satrapi. 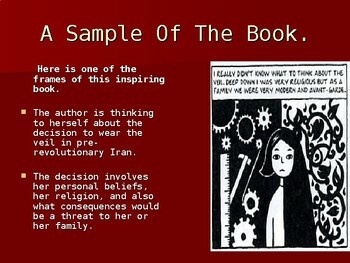 It discusses the author and the background to the book as well as showing a sample of a page in the book. 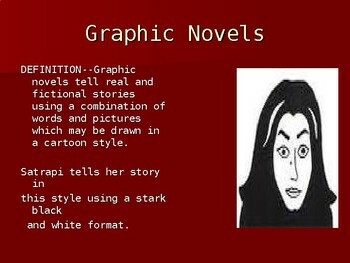 It indicates where to obtain the book download as well.